The EU General Data Protection Regulation (GDPR) will come in to effect on 25th May 2018. This will affect the way your firm handles client data and you will need to be prepared. To use our easy to follow guide and checklist, click below for your free downloadable version. 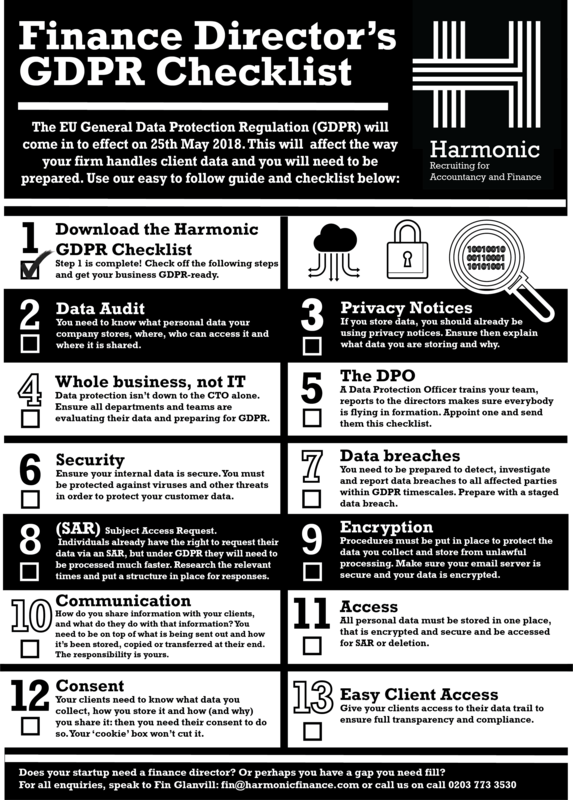 The Finance Director's GDPR Checklist!